Is your yard not looking as good as it should? Are there stumps or dying trees that you need to have removed? AJ Tree Service is committed to helping you clean up and transform both your residential and commercial properties. Over the years, we have helped many homeowners and business owners improve their landscapes through professional and affordable services. 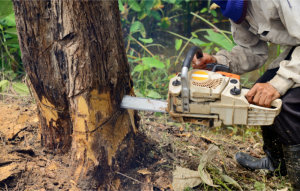 When you need exceptional tree removal and landscaping in Tulsa Oklahoma, you can count on us. AJ Tree Service was started in 2012 with the goal to help solve the landscaping issues of homeowners and business owners in our local area. Our services are extensive and affordable to ensure that anyone can get help with their landscaping needs. We are also a family oriented and hardworking organization that values God. Through our passion for what we do, we are here to help provide you with the best results possible with tree trimming, Tree Removal Service and more! If you are interested in learning more about our tree trimming, Tree Removal and Landscaping in Broken Arrow, Oklahoma, you can reach us at 918-232-4853.